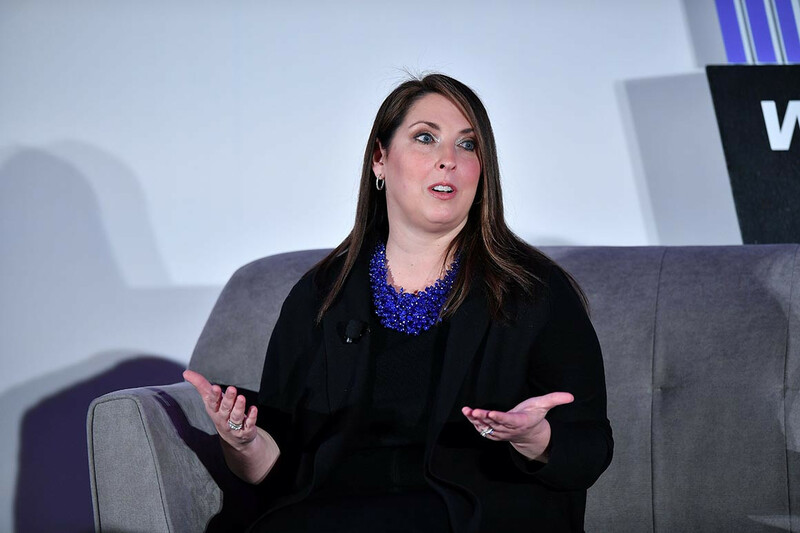 Republican National Committee Chairwoman Ronna McDaniel said on Tuesday that the party would do a “deep data dive” into GOP losses in the House during this year’s midterm elections. Speaking during POLITICO’s Women Rule Summit, McDaniel said the party needs to look into why many white suburban woman voters — a traditionally solidly Republican base — switched to Democratic candidates during the midterms. McDaniel didn’t specify a timeline for the party soul-searching effort or if the results would be made public. But she did say the results would be shared with GOP leaders and candidates to consolidate the party’s resources. Still, McDaniel pointed out that Republicans did not suffer a total loss this year. The party gained two seats in the Senate, in stark contrast to the average of losing four seats during the first midterms for a sitting president’s party. McDaniel also said the party has maintained its popularity among rural women voters, whose voices McDaniel said are often overlooked. McDaniel also talked about the need to recruit more female candidates in the GOP, touching on the challenges of fundraising as a woman. Describing her own experience leading up to serving as the second female chair in the history of the Republican National Committee, McDaniel said she often felt excluded from discussions with donors because of her gender. She said when she was chair of the Michigan GOP, she was called a kindergartner and laughed out of talks with potential donors. But “you don’t give up and I got money from that person,” she said. McDaniel said men often only need to feel 60 percent qualified to feel comfortable running for office, where as women often have to feel 100 percent — creating an additional hurdle for the party in convincing women to run. McDaniel herself felt similar hesitancy when tapped by Reince Priebus to run for party chairwoman, but still, she ran and became one of the most successful fundraisers in the party’s history.